The StageTrix Wah FastenerTM is our latest product we have shown at NAMM in 2012 and 2013. The concept was to offer a solution to mounting typical wahs like those classics from Crybaby and Vox. After the Wah Fastener has been road tested it is finally ready for prime time. The Wah Fastener has been designed to fit on any wah that has the traditional classic shape you instantly recognize from Cry Baby and Vox. 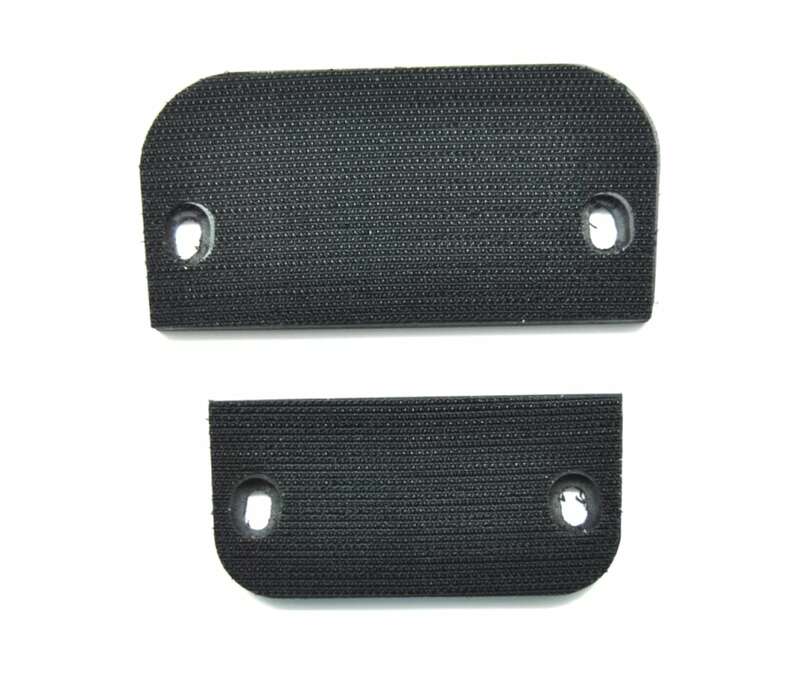 The design allows you to use the same screws with which the rubber feet are secured to your wah. Simple remove screws form the rubber feet and optionally use the included washers and secure the to plates of the Wah Fastener to your favorite wah pedal. PLEASE NOTE: THE GRIP ON OUR WAH FASTENER IS REALLY STRONG, SO STRONG THAT IF YOU TRY TO REMOVE THE WAH FROM YOUR BOARD IT HAS BEEN REPORTED THAT THE WAH FASTENER MAY STAY CONNECTED TO THE BOARD AND NOT THE WAH. SOLUTION: TO REDUCE GRIP SLIDE A CREDIT CARD BETWEEN THE WAH FASTENER AND THE BOARD WHEN (RE)MOVING.